Despite the improving job market there is considerable evidence that jobs for new college graduates continues to be a problem. 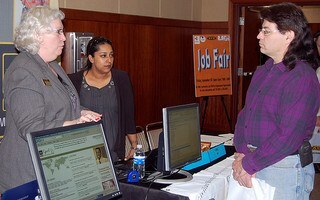 A Huffington Post article published this past spring, Recent U.S. College Graduates Disillusioned, Underemployed Says Poll, indicates that more than 40% of recent college graduates are considered under-employed – defined as either unemployed, working part-time, or working full-time in a job that doesn’t require a college degree. Perhaps even more telling, only 53% have found jobs in their major field of study. What complicates the college graduate’s dilemma is the fact that we’re now just about six years into a statistical economic recovery. That begs the question: if the situation for recent grads is this bad several years into a recovery, what will it look like in the next recession? I think that it goes without saying that this has hardly been a textbook recovery. In fact, various quarters of the economy still seem to be mired in an intractable state of recession. I’m going to suggest the possibility that the weak job market for new college graduates is probably not a temporary phenomenon. Technology and globalization have weakened the entire job market, and new college graduates are no longer exempt. But enough whining – what can you do about it? When all is said and done, that’s all that really matters, isn’t it? Except in very specific fields, having a college degree no longer confers special economic status. The days of students coming out of college to a waiting and anxious cast of employers are gone. If you are about to graduate from college, or have done so in the past year or two, you are facing an uphill fight – not unlike that experienced by many older workers who have been displaced in the economy. In order to deal with this reality, you’ll need to have a full grasp of it. Having a college degree does not open the door of a magical elevator that will take you straight to the top of your field. It is now mostly a qualification which, by itself, will do little for you. All that matters is what you do with it once you have it. That may involve working harder to find your first job than you ever imagined you would. It may also mean that you will have to take a position that you might consider to be “beneath you”, at least for a while. The worst course of action could be holding out for the “right job”. Studies have shown that being unemployed for more than six months can make finding a job almost impossible. The delay then, would only make your situation worse. Though it is tough to stomach, the possibility that your degree is in the wrong major would seem to be validated by the inability to land a job in that field. If that’s the case, it may be best to begin training for some other field as soon as possible. You could return to college to get another degree in a more economically relevant major. You could take specific courses that will provide relevant hands-on skills that will help you land a job in a viable field. You can get technical training at community colleges or technical schools. You can take online courses that will help you to learn special skills. One other possibility is the do-it-yourself route. You can research the web to see where you can learn the skills that you need. YouTube can be good source here. You can learn almost any kind of skill by watching videos, and while learning from a YouTube video probably won’t get you a job, it might help you to start acquiring new skills, particularly if money is tight. You don’t always need to be an expert in a particular skill, most times, all you need is to be proficient. Once you are, you may be able to find a part-time job or freelance work where you can hone your skill(s). Sometimes you have to do what you have to do, and if you are unable to find a job in your chosen field, you have to do whatever it takes to get your foot in the door. You might be able to work for an employer in your field by working part-time, contract or even on a freelance basis. It is an unfortunate reality of today’s job market that no one will hire you without experience. Employers really are looking for people who can be productive immediately, and the only way that is possible is with relevant experience. This should make getting that experience a priority – even if doing it isn’t pretty. Perhaps the ultimate solution for the unemployed/under-employed recent college graduate is starting your own business. It can be either in your major field of study, in another field that is related, or even in something totally different. If no one else will hire you, than you may have to hire yourself! The prospects here aren’t as bleak as you might think at first. The internet is a game changer for the self-employed. It has opened up opportunities, markets, products and services, and access to expert help that wasn’t available just 10 or 15 years ago. I’m actually an example of this myself. A few years ago I was in the midst of a career crisis. I was middle-aged, with a family to support, and many years of experience in a failing industry – the mortgage business. And for the record, yes, I also have a college degree, but it did little to improve my job prospects. Self-employment was the only long-term solution. 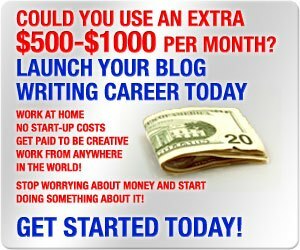 I started with a blog – this blog – and while the blog is a revenue source for me, my main source of income is from freelance blog writing. And again for the record, I don’t have a degree in either journalism or anything related to computers. Sometimes…you just have to take a chance! You can start a business on the Internet, and you never know where it might lead. But the Internet is a beehive of activity, and there is an excellent chance that you will find your life’s calling in the middle of all that action. You don’t have to start a business directly on the internet, but it’s increasingly becoming a central part of self-employment, at least on the marketing side. As a recent college graduate, you probably have student loan debts to pay, as well as expenses necessary to establish yourself in life, so you will need an income immediately. That certainly supplies the incentive to land a living wage job quickly. Self-employment won’t fix your financial situation as fast as a job will, but if you get a business going now it could very well be the ultimate solution to your long-term career dilemma, just as it has been for me. If you are a new or recent college graduate, how is the job situation working for you? Getting specific and relevant additional training is one of the suggestions I’ve been giving to younger students lately. When many jobs prefer practical skills over theoretical knowledge, I personally find that a certificate or diploma (rather than a full-length degree) give one enough knowledge to get start, and the length of these programs mean you don’t have to wait until the next recession to happen before you finish the program. Thanks Daniel. I think that more and more training will need to be practical going forward. A college degree ultimately may be more about promotability than about getting a job.